Perseverance comes in many forms – in the metal industry, the rewards occur when musicians refuse to chase trends and stick to their own vision, in the hopes that they’ll build a faithful following due to that consistency and quality of output. 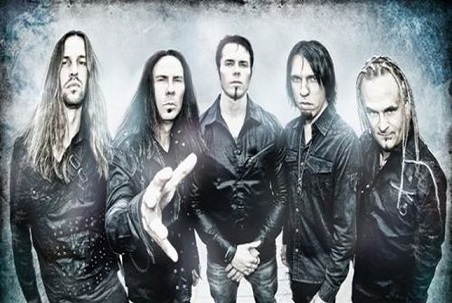 During the 1990’s when Kamelot first started, their brand of melodic power metal certainly didn’t find favor stateside – the band signing to the European division of Noise Records as they slowly and steadily carved out a niche, cult-like appeal due to their Crimson Glory-esque comparisons especially from early vocalist Mark Vanderbilt. By the time Conception vocalist Roy Khan joined the fold for Siege Perilous, the band was ready to take the next steps forward in establishing a worldwide presence. Throughout the 2000’s they made it to headline status abroad and then in North America – as people gained confidence in the breadth and depth of the material on hand. Now onto their third album with current vocalist Tommy Karevik, The Shadow Theory takes on Carl Jung, artificial intelligence, and the trend towards class separation in the lyrical themes – while musically keeping the versatility of ballads, mid-tempo, and faster power offerings, bombastic and symphonic when called for, yet tender and restrained as well. We reached out to guitarist Thomas Youngblood while he was attending to the fever/sick needs of his younger son – and he was happy to discuss the year-long process behind recording and delivering the new album, thoughts on AI and virtual reality, plans for the upcoming DVD shoot, and frank thoughts about the importance of music as a tool to process the loss of his father in adolescence. 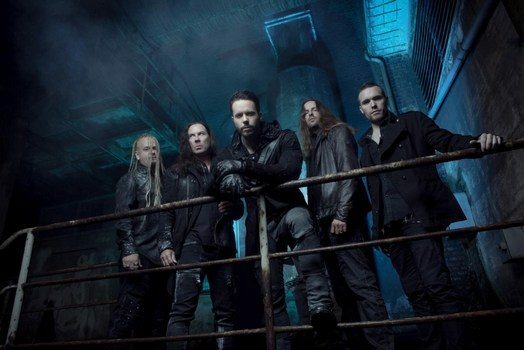 Dead Rhetoric: Shadow Theory is the newest Kamelot album, and third record with Tommy Karevik on vocals. 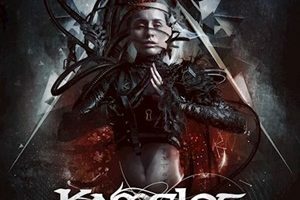 Do you believe the fanbase has been very respectful embracing him into the fold – given the long-running appeal Roy Khan established with Kamelot in the past? Thomas Youngblood: Yes, I believe so. Especially considering Tommy has now been in the band for over six years at this point. We’ve always been a band that moves forward, so when things change we have to roll with the changes and Tommy has been an important part of that. Dead Rhetoric: I’ve heard that there’s a lot of discussion regarding record to record the guest spots for vocalists – how did you finally decide upon Lauren Hart and Jennifer Haben for “Phantom Divine (Shadow Empire)”, “MindFall Remedy”, and “In Twilight Hours”? Youngblood: Well Lauren came to our attention through a tour date she was on when we opened for Iron Maiden. I was already familiar with her work and had been keeping tabs on her through some articles in Revolver magazine. When it came to Jennifer, we ended up contacting her through Sascha our producer – and I believe she as well came through and did an amazing job. Dead Rhetoric: What can you tell us about the children’s choir that appears in “Burns to Embrace”? Youngblood: For the most part, that was Thomas my son who is actually sick at home with me right now. (laughs). I recorded him here at my home studio, we did like eight different tracks. It was just so fun to be able to include him on the record. He loves music, he loves singing- and then we have a couple of other people from Germany that worked with Sascha. It was kind of a last-minute thing to put the children’s choir on this, and I’m glad we did because it makes sense for the song, especially with the lyrics and the earth that we are leaving for our children. I think it adds a nice, special touch to the song. Dead Rhetoric: The theme of the record conveys a sense of empowerment, but also discusses the divisions amongst people with religious or political beliefs, and artificial intelligence as well. What do you hope the listeners are able to process and understand relating to the ideas you get across for The Shadow Theory? Youngblood: I think we have to be careful with certain things. We wanted to be deep, but I didn’t want to have people have to dig too much into these different ideas and theories to enjoy the record. We wanted to base this on Carl Jung’s shadow aspect, where everyone has this dark shadow within their subconscious that if they don’t acknowledge that it can just grow darker and darker. That’s where we started with the whole shadow theory, and then we’ve been talking a lot about AI and being able to transfer consciousness from a human to artificial intelligence, these kinds of things and what that could do for the future. We also put in a little bit about the hierarchy relating to the way our society is today, the top few individuals who are kind of controlling the whole world. We used all these ideas that we’ve been curious about and we were able to create the basic template for what the album’s about. Dead Rhetoric: Where do you think virtual reality is going to be in the next decade or so- will it be a more important part of our daily lives? Youngblood: Absolutely. I’m not a huge fan of it to be honest with you, our keyboard player Oliver (Palotai) has all the stuff. We were able to meet Palmer Luckey, the creator of Oculus at one of our shows. He came backstage and we met him, and from that point on Oliver has been a superfan for VR. For example, robotic surgery is going to be happening very soon, where you are able to have a surgery done remotely, and that will be because of VR and the use of technology. The whole fake thing regarding creating new worlds, that’s something that I’m not interested in- because I’m interested in everything being real – but if you want, you could see people say going to Thailand if you couldn’t afford it and have that experience somehow. They are just getting better and better at recreating these types of experiences. I fear a future where only the rich people will actually do real things- whether it’s going skiing or going to Maui on the beach. Because everything else is so simulated, maybe this will be enough for most people. Dead Rhetoric: Were there any particular challenges or surprises that came up during the recording of The Shadow Theory? Youngblood: Just time. We always want more and more time. That’s really the only challenge. We worked on the album for a year, and that’s a really long time. We always want more time to listen to stuff, and we pushed the label and pushed them until we felt like we were ready to give them the record. The original release was going to be in January, and we ended up having to push it back until April. Lucky for us they are very understanding when it comes to our OCD with things. We wrote the record very similar in terms of the process as Haven and Silverthorn. I flew to Germany a couple of times to work with Oliver on the basics of the record- Tommy and Sascha worked on the vocals and other musical parts. Dead Rhetoric: Did it seem surprising to you to see veteran drummer Casey Grillo leave the band, and how did you go about securing Johan Nunez who has worked with Firewind at his replacement? Youngblood: No, we weren’t really surprised- he’s been busy and working really hard on his own company. Every time he has to go on tour, he has to find someone to take over that. We’ve been friends and colleagues for over twenty years, he had my full support when we started to talk about it. Johan has been our friend for at least six-seven years- we’ve known him as a drummer and he was our drum tech on the last European tour, so he knows every last song and was ready. We didn’t look at anybody else, he was the guy from day one. We didn’t need to look anywhere else. 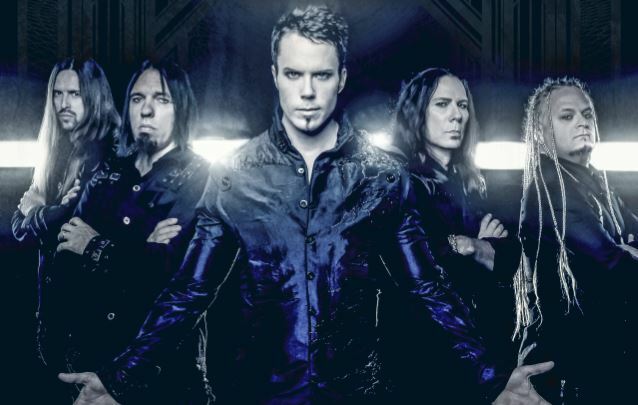 Dead Rhetoric: This deep into the band’s career, what do you see as some of the biggest challenges that come up for Kamelot? Youngblood: There’s always a lot of pressure that we put on ourselves with each record to make sure that it’s a Kamelot record and the different balance of what an album should be. That’s always been a challenge and something we’ve always embraced too. That’s one of the reasons it takes time for us to do a record- it has to have that ebb and flow that we feel it needs, the pacing and certain types of songs whether it be fast songs, slow songs, mid-tempo. I look at all these different aspects of a record. And touring-wise, we’ve been pretty lucky in terms of setting our own agenda touring. We want to tour, we love it- but we want to make sure of the quality as we are away from our families, it’s good shows and good production. That’s a nice luxury to have. It’s pretty cool because we are doing more festivals than we’ve ever done coming up this summer, and have 2019 planned for touring- we are going to be going to parts of Asia that we’ve never been to before. It’s exciting to see the band still growing which is great. 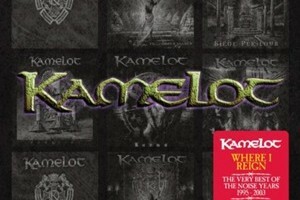 Dead Rhetoric: Kamelot is one of the bands featured in the Noise Records book Damn the Machine – have you had a chance to read the book, and how do you feel about being a significant part of the second wave of popularity for the label during the 1990’s and early 2000’s? Youngblood: I have not had the chance to read the book, although I was contacted by the author a couple of times. We discussed some different things, I think I got super busy with something that I wasn’t able to totally devote a lot of time to it. It’s cool looking back now and think about those times. I remember when we sent out our demo to these different record labels in Europe, the owner of Noise was walking through the office as they were playing the demo and he heard it and said to sign us. Who knows if he wasn’t walking through at that point whether we would have even gotten a record deal with them back then? It’s so funny to think about that kind of history, the odds of all these things happening the way that they do. Dead Rhetoric: Do you believe in the perseverance of the fact that you took off in popularity in Europe first and then eventually gained headlining status in the US? Youngblood: Absolutely. When were cutting our demo at Morrisound Studios, the total goal at the time was Europe. It’s the only market that we saw was into bands like us. Crimson Glory and Savatage were big models for us, because they came from Florida like us. We didn’t even send demos to the US. Noise was number one on our list. And then we did a small tour of the US, just the East Coast, and it was successful. From that point on, we had worked hard to return to the US, and now the US is one of our biggest markets. It’s exciting to be able to headline at a good level here in the US when a lot of the symphonic bands or even the metal bands aren’t able to do that. It’s a testament to hard work and not giving up on what you think is going to happen. Dead Rhetoric: You’ll be touring North America with Delain and Battle Beast as support – what can the fans expect from Kamelot this go around as far as a stage set up and live experience? Do you believe it’s important to put together a strong package given the healthy amount of competition and limited expendable money for many people these days? Youngblood: First of all, we are putting a ton of time and energy into the production of the show. A lot of these venues are bigger than the last tour, so we are able to have a biggest stage in terms of the production. We have some surprises for the fans, we will have some surprise special guests night to night. In terms of the package, it’s absolutely essential nowadays to have strong packages to support the artists. Even name headliners like Iron Maiden, they all understand that the package needs to be strong. I feel like with this package of Kamelot, Delain, and Battle Beast- it’s a great metal package and one of the best the US has seen in quite a few years, I think.